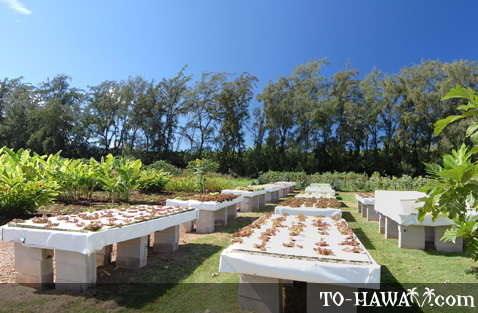 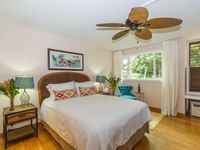 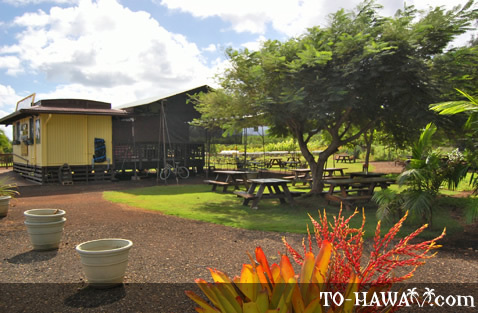 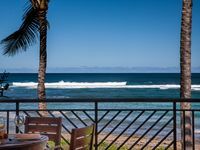 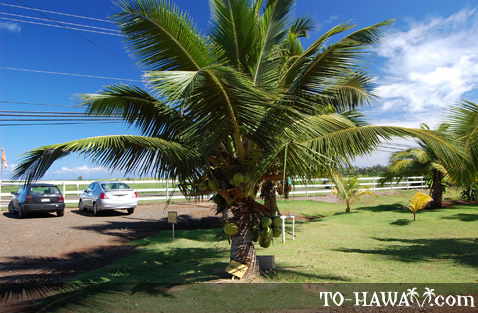 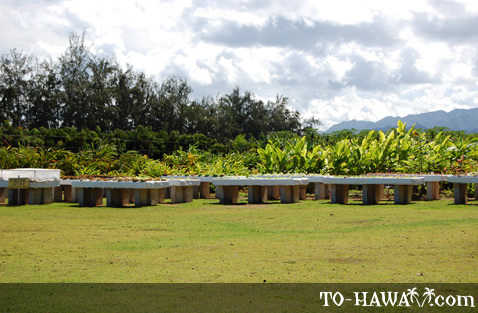 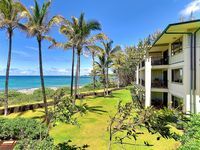 Kahuku Farms (view panorama) is located just north of Kahuku on Oahu's North Shore. 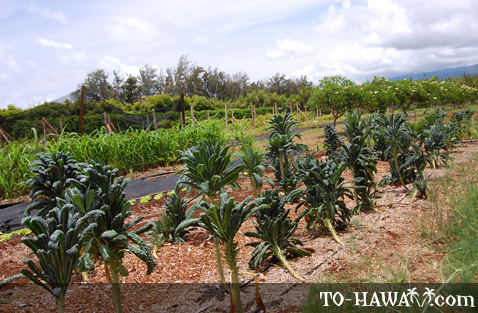 They offer a variety of foods that are grown on the farm, as well as farm tours. 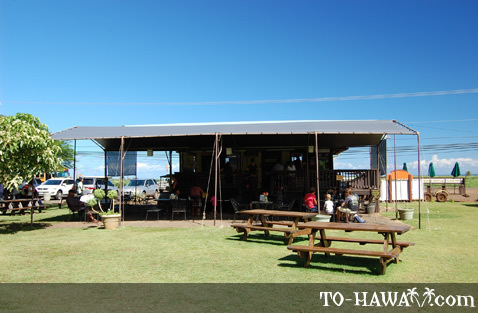 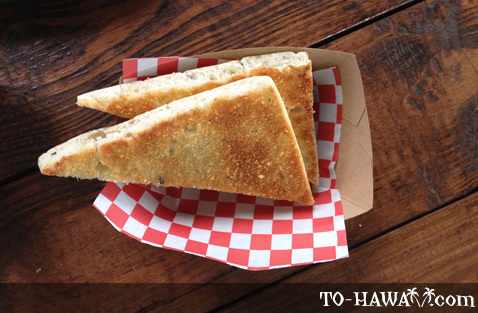 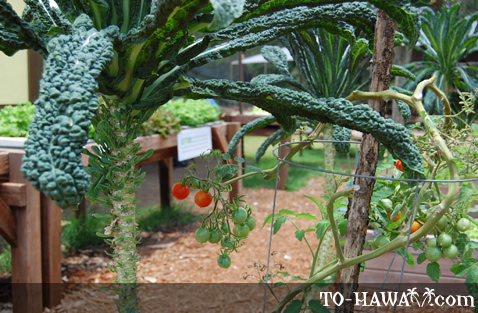 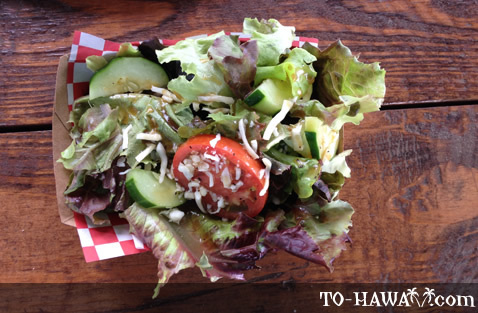 Their farm café is situated right along Kamehameha Highway. 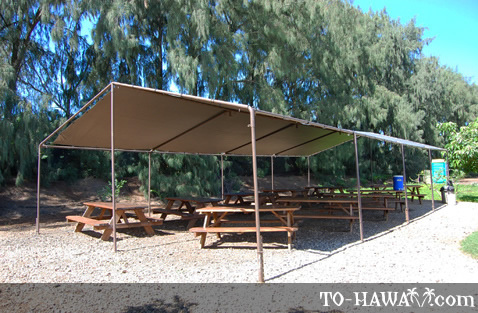 There are many picnic tables under a shaded outdoor dining area. 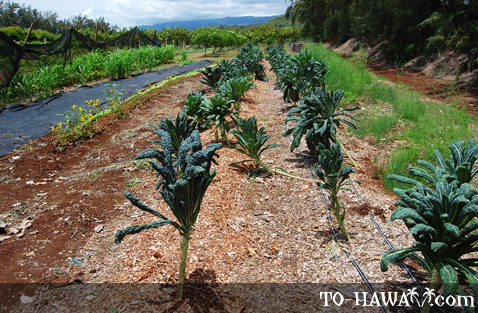 Right next to it one can see how they grow their lettuce. 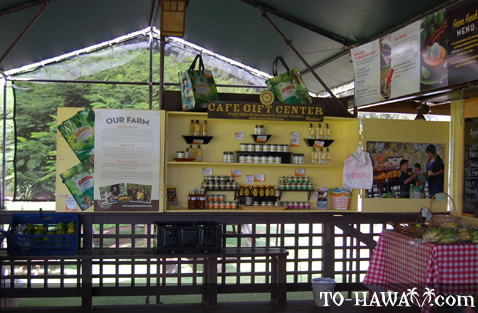 The farm café menu features a variety of smoothies, lemonade, iced tea, hot coffee, sandwiches, soups, salads and desserts, including ice creams and banana bread. 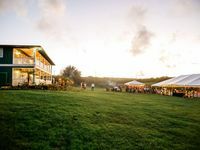 One can also purchase a variety of culinary items (including jellies, bread spreads and a salad dressing) and body butters, soaps and lotions, as well as farm-grown chocolate. 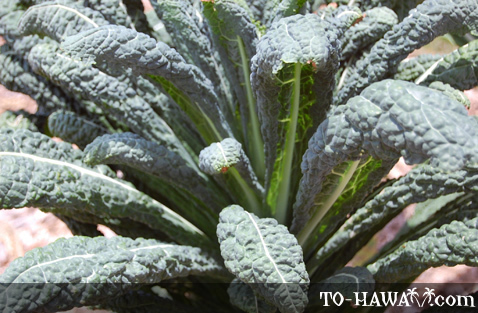 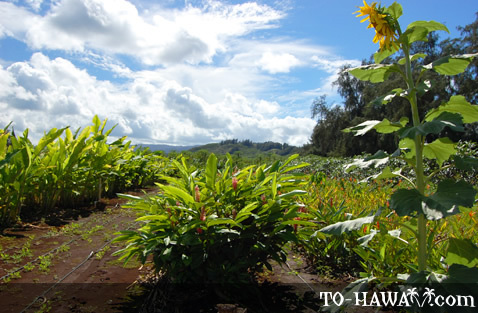 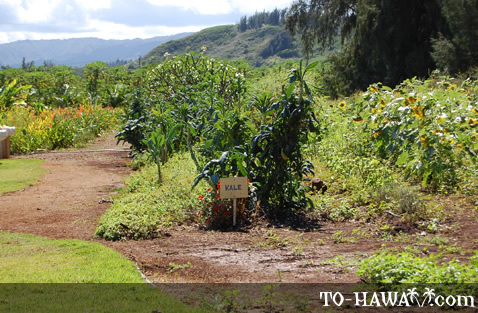 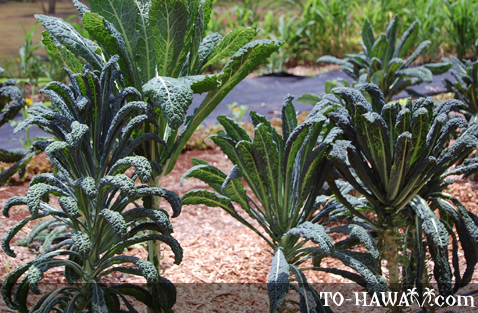 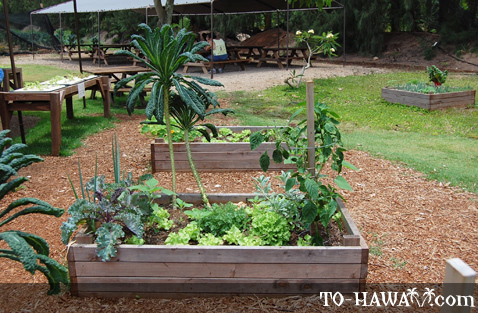 Besides dining, a reason to visit Kahuku Farms is to do their farm tour - a tractor-pulled wagon ride through their farm where guests learn about the crops and history of this place. 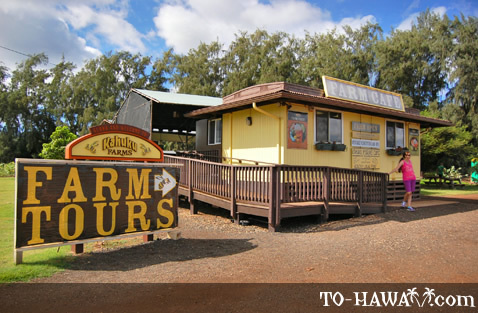 Hours: Open daily from 11 am to 4 pm except Tuesdays when they are closed.